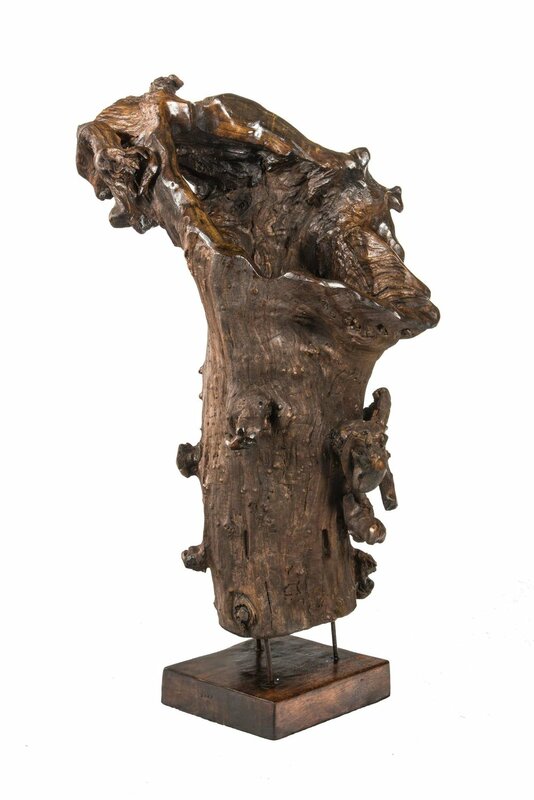 In his teak wood sculpture Inner Beauty, painter and sculptor Vladimir Nazarov explores the contours of a found piece of teak wood. Recognizing its natural beauty, Nazarov makes few modifications to the raw wood…simply treating the wood with a natural nut oil finish, smoothing the contours and attaching metal rods at the heels to display the trunk by pedestal. 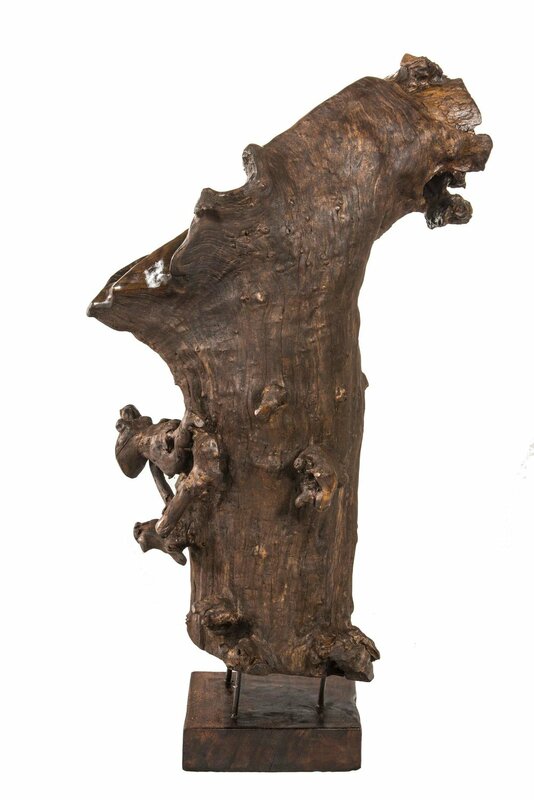 Articulating the limbless and hollow trunk as anthropomorphized object metaphor, the elegant lines and craggy knobs of the stump resurrect supernal notions concerning mankind’s sacred roots in the earth.